Well priced balance, was enough quiet, curtains for sleepin in dark!, (not very common), easy parking near hotel. Near the center of city. The staff is very friendly, polite, efficient and always ready to help. Very quiet, cozy rooms - small, but enough comfortable, with everything needed for a stay. Good cafe on the ground floor, very - no, VERY friendly staff, always ready to help with any question. 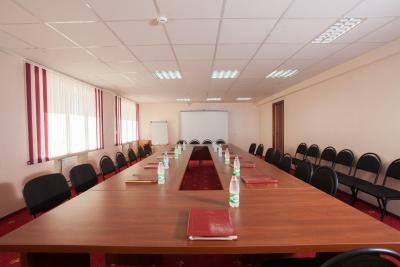 Location is perfect for travelling by car, bus or train - 5 minutes to railroad station, 10 - to bus station, orivate parking right behind the hotel. Very good for a few days stay for business or leisure - doesn`t matter. 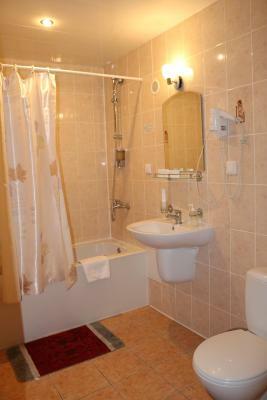 Very good location, good clean cozy rooms, very ordinary - but who will expect LA chic in provincial town in Belarus? Stuff is extremely helpful and hospitable, always trying to help and make your stay comfortable. 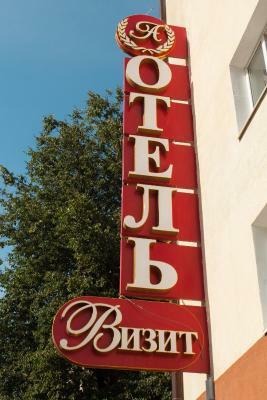 Fantastic value for money - Belarus is still very cheap to travel to. 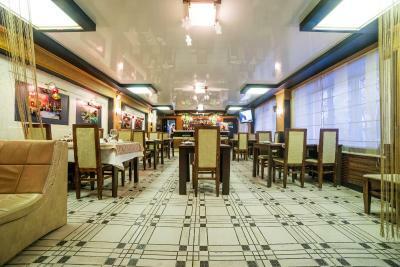 Good location near the train station and several nice shops and restaurants nearby. Very friendly english speaking staff. No air condition in my room but I could use a fan. The breakfast was good. Free parking places in front of the Hotel. Rooms were good. Staff could speak barely no English but was friendly. Staff was helpful and spoke English, room was spacious and clean. Conveniently located 3 minutes walk from the train station, also easy to catch bus or trolley to reach the main park and palace. We really appreciate having the room for 24h from the arrival time. AMAKS Vizit Hotel This rating is a reflection of how the property compares to the industry standard when it comes to price, facilities and services available. It's based on a self-evaluation by the property. Use this rating to help choose your stay! 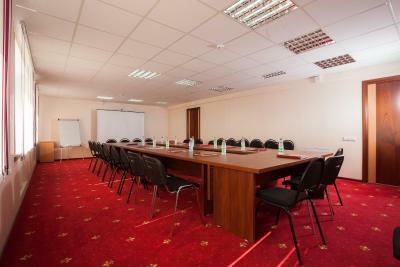 Located 5 minutes’ walk from Gomel Train Station, AMAKS Vizit Hotel features a restaurant with national cuisine and rooms with a work desk. There is also a 24-hour reception and free Wi-Fi. Every room at the hotel includes classic decor with neutral colors and carpeted floors. 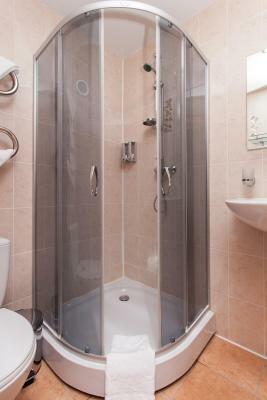 They also feature a private bathroom with a shower. Vokzal bus stop is 650 feet from AMAKS Vizit Hotel, providing access to other Gomel’s districts and such attractions as St. Nicholas’s Monastery. A shuttle to Gomel Airport (8.1 mi) is available. When would you like to stay at AMAKS Vizit Hotel? Features a flat-screen TV with satellite channels and a fridge. Includes a private bathroom. House Rules AMAKS Vizit Hotel takes special requests – add in the next step! Debit card AMAKS Vizit Hotel accepts these cards and reserves the right to temporarily hold an amount prior to arrival. AMAKS Vizit Hotel accepts these cards and reserves the right to temporarily hold an amount prior to arrival. All was great. Booking’s strange score system will mark it as a 10. It’s not a 10 but a perfectly good 9! Helpful staff and comfortable room. It's quite basic. Ok for one night but I wouldn't recommend for longer. The breakfast was not buffet and it was not a very high standard. The place was clean and some of the staff were friendly. The only disappointing thing was that there is a bar in the lobby, but it didn`t work at all. It could be a good thing to have a pint of beer or a cup of tea in the late evening, also if the cafe is closed when servicing big group of guests. 1. There is no telephone in the room. Why not to provide telephone services for the guests and to make some money for the hotel? Almost every hotel in the world does it. 2. The beds are too narrow. 3. Exterior of the hotel building needs to be improved to look like a hotel. Not like a third class hostel. 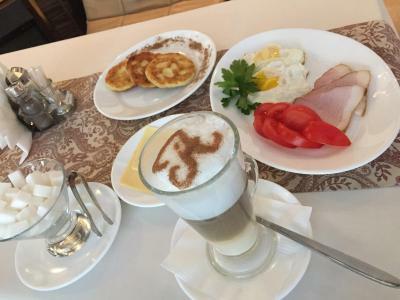 Of course, breakfast was very bad, ultra basic, gulag breakfast, no speak english, and imposible to order something. 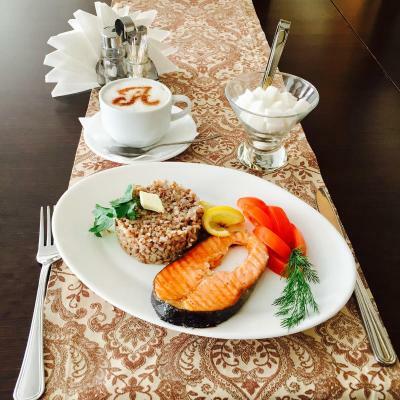 The breakfast is served everyday between 07:30-11:00! I have through my four days stay went to breakfast between 10:00 and 10:30, and always heard the same answer:" You have come late to breakfast! We have only fired eggs left." Polite and friendly staff, the rooms have air conditioning, but they need to book rooms with them in advance. A good breakfast. Clean rooms. Good value for money. It can get very hot during summer and there is no air condition in the rooms on the third floor. Checkin time time lasted 30 minutes due to queu. Homeless tramps lying inside of hotel lobby! No hot water in the shower. Horrible experience. The surrounds of the premisses, sidewalk and parking area, desperately needed snow shoveling, which was visible that hasn't been done at all even after days long snowstorm.